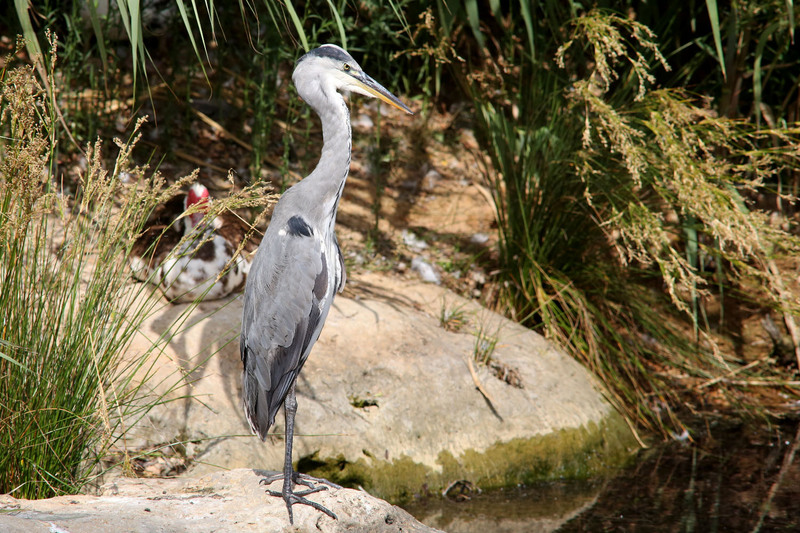 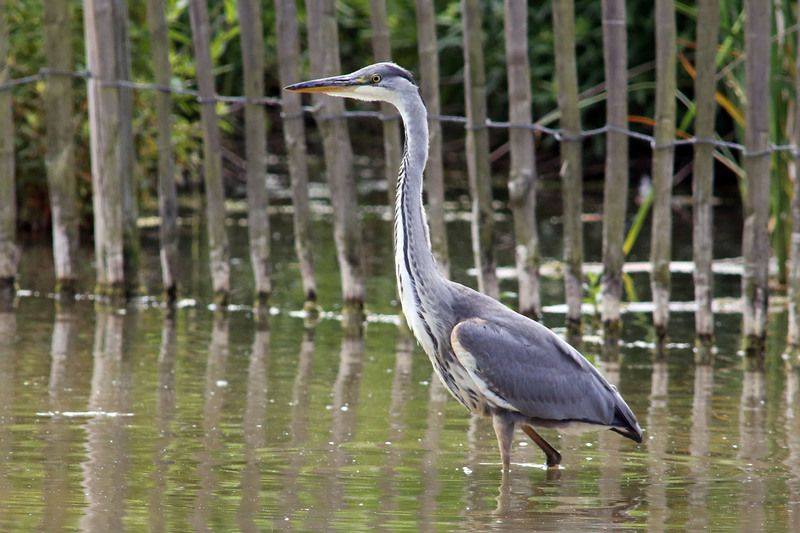 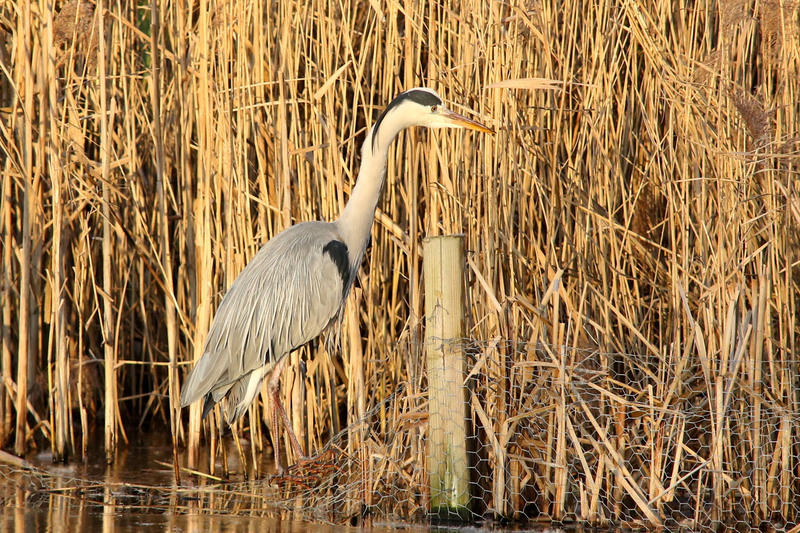 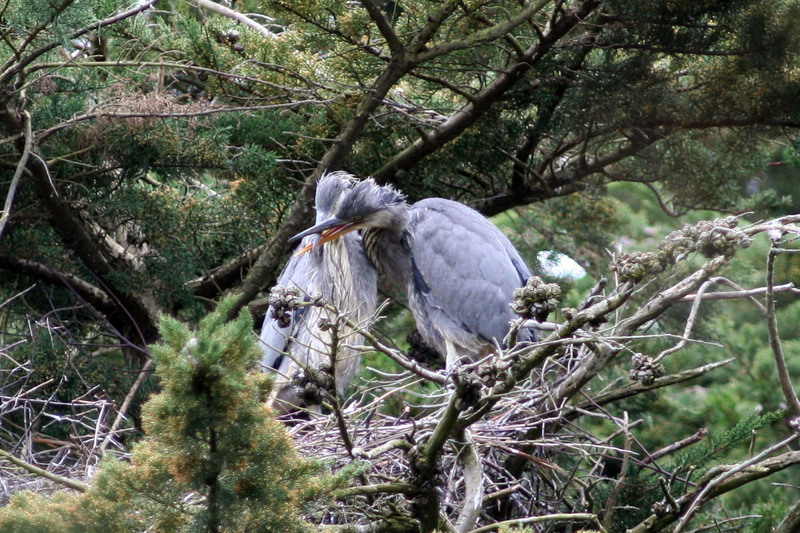 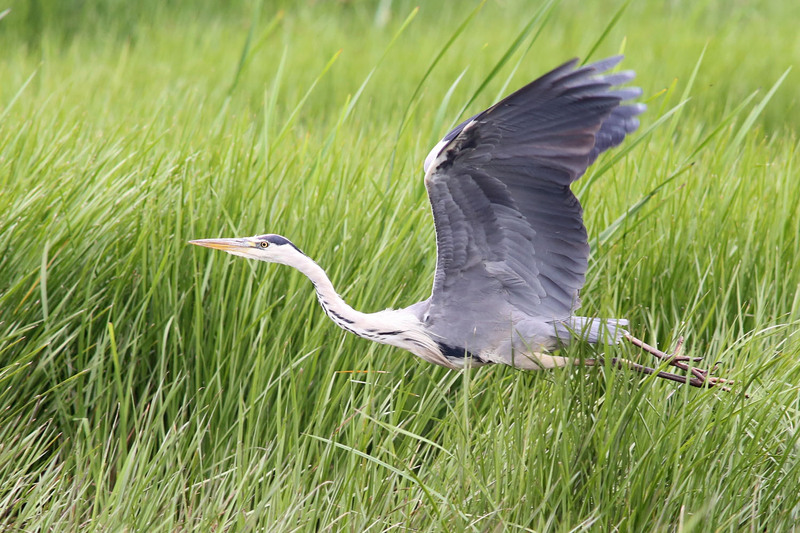 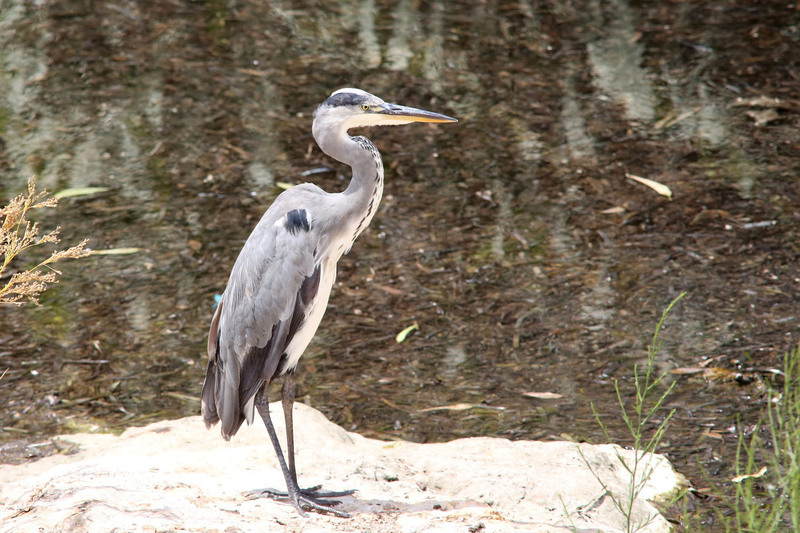 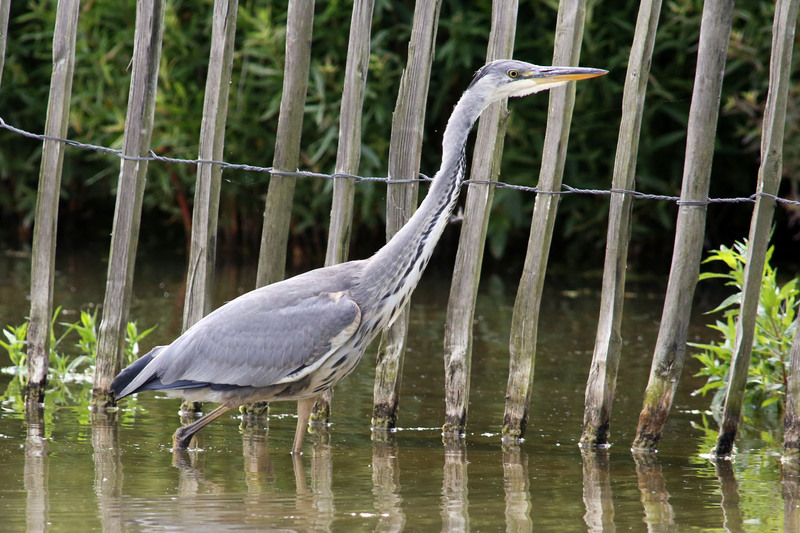 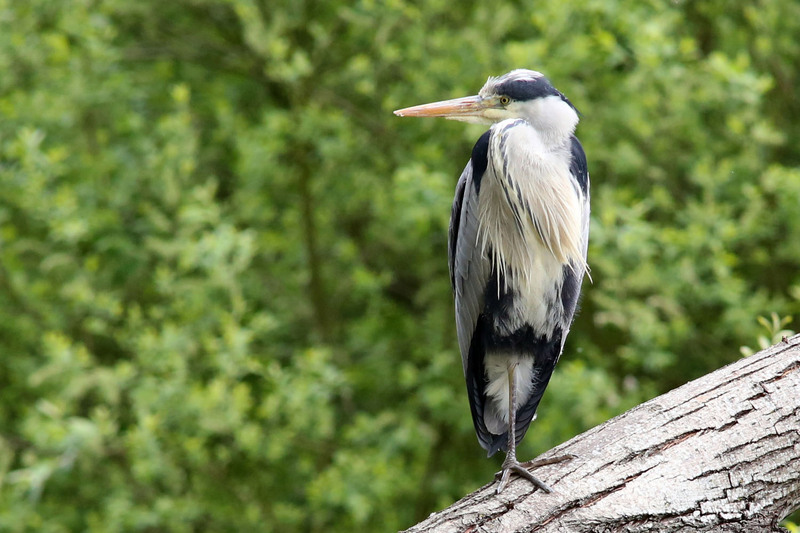 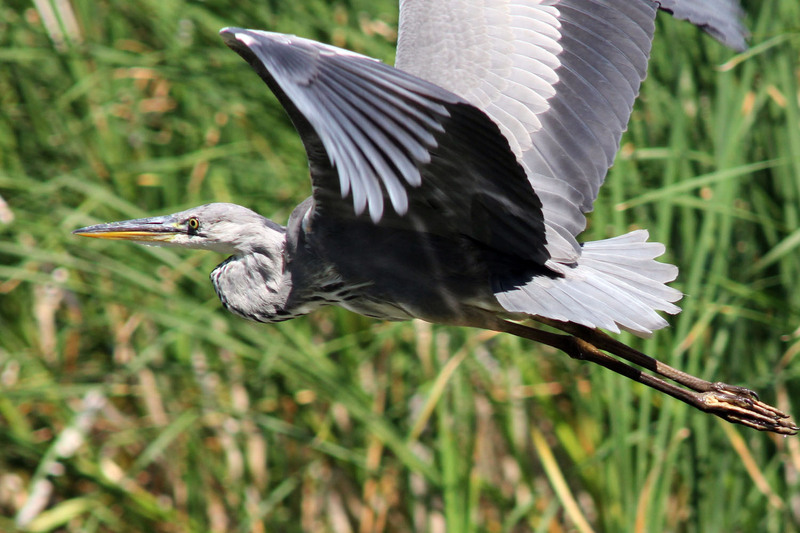 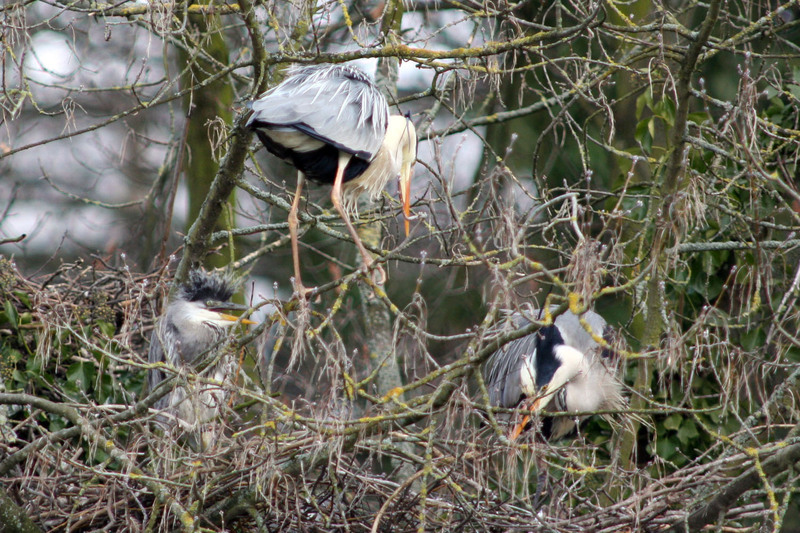 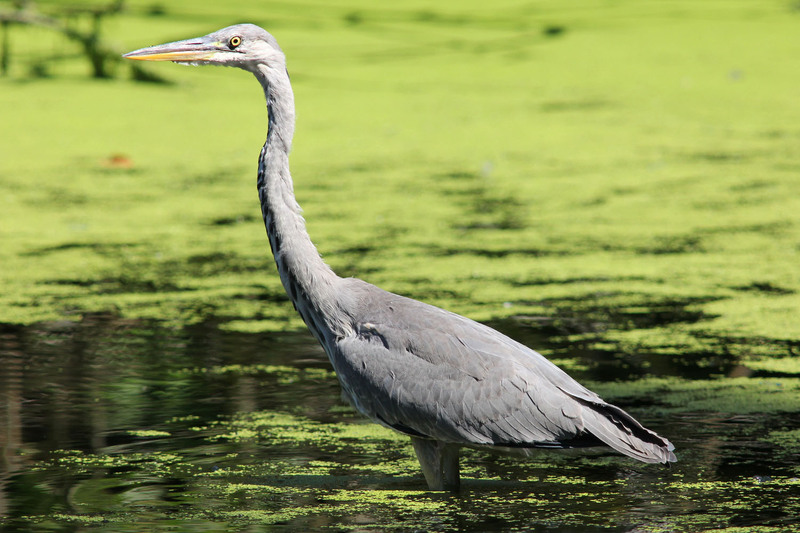 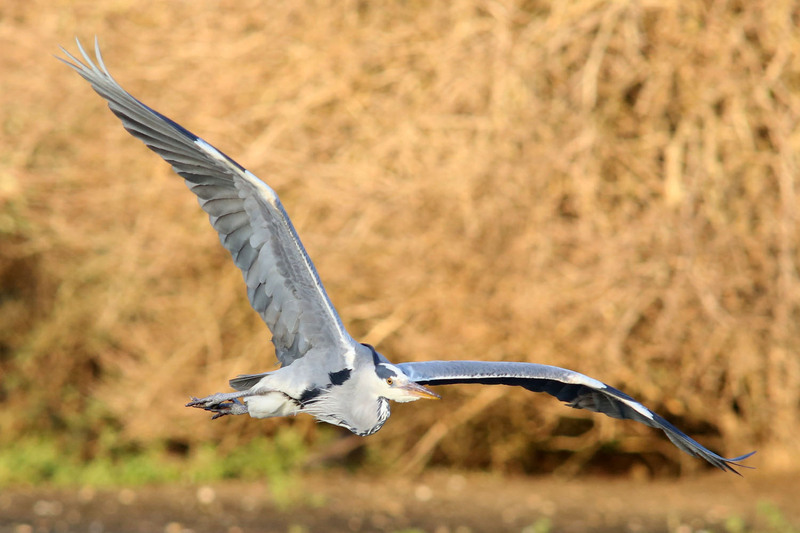 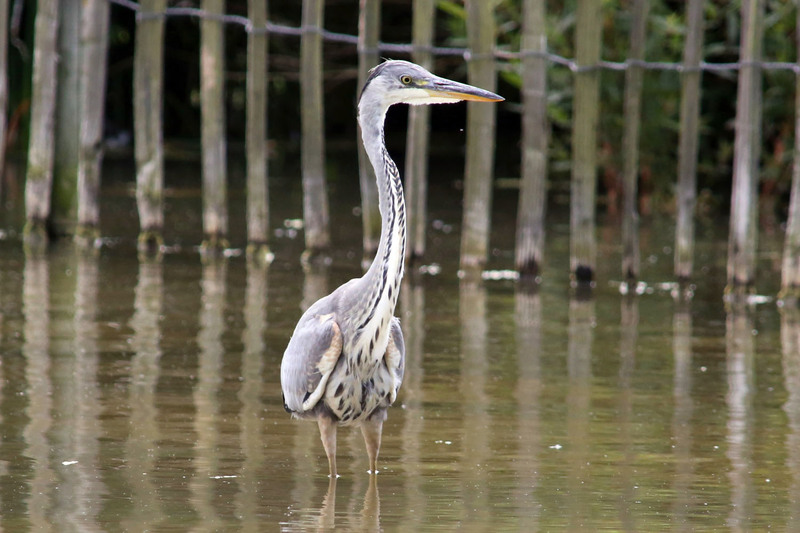 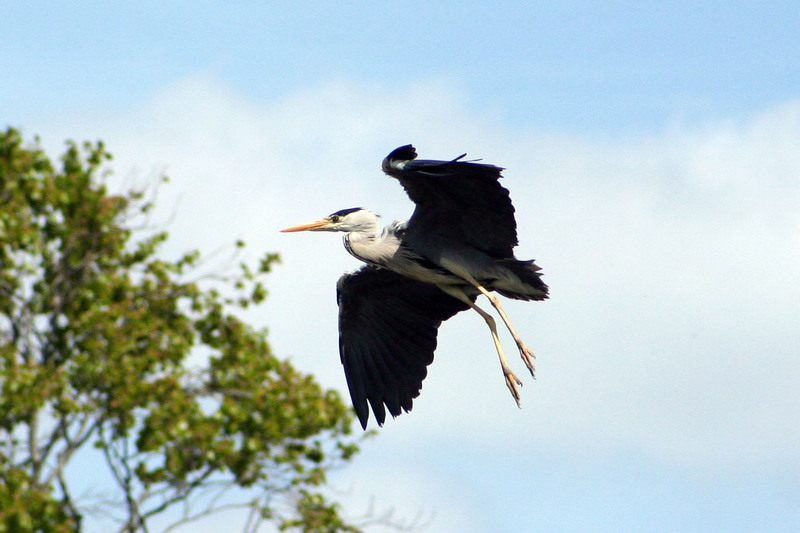 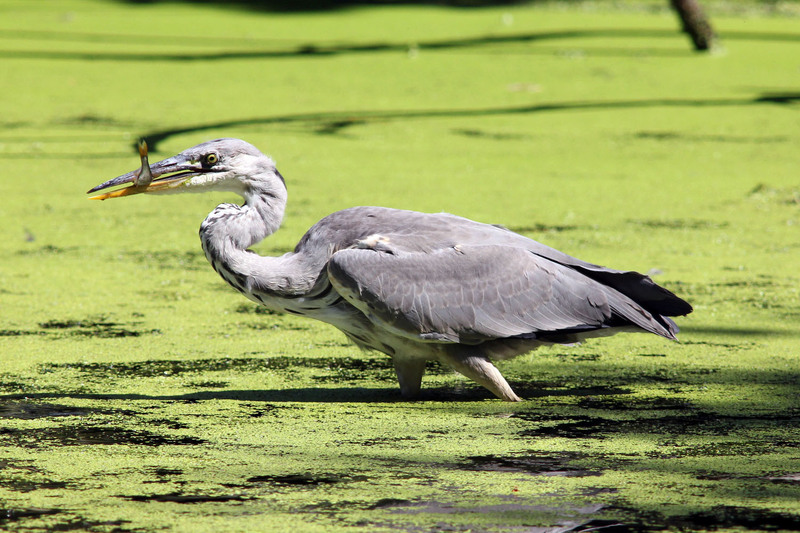 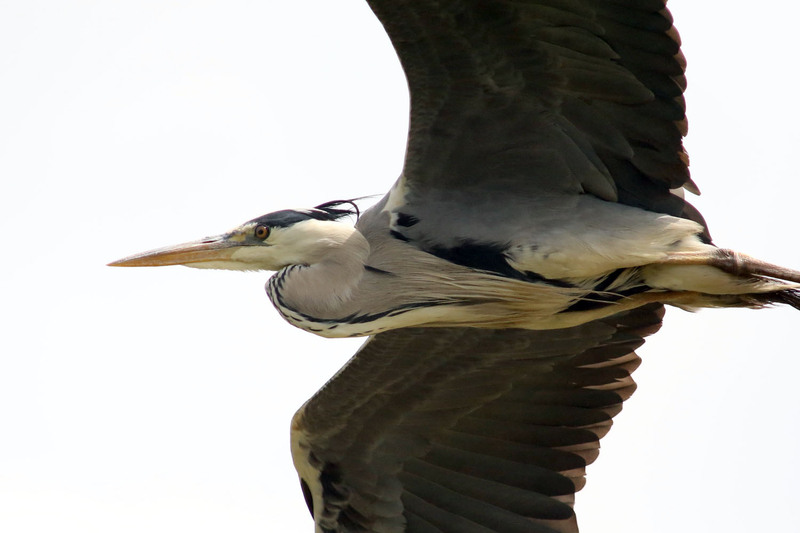 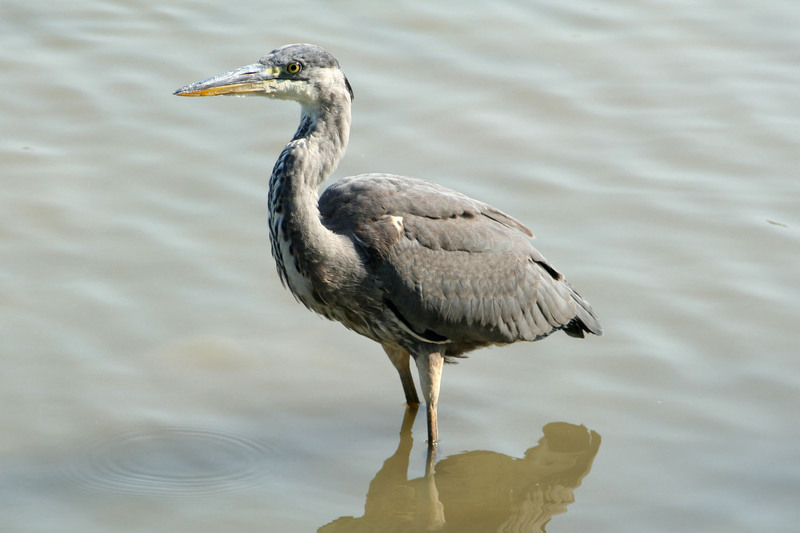 The Grey Heron isn't a bird that you'd usually see in your garden, unless that is, you have a fish pond and if you do you won't be wanting to see one visit. 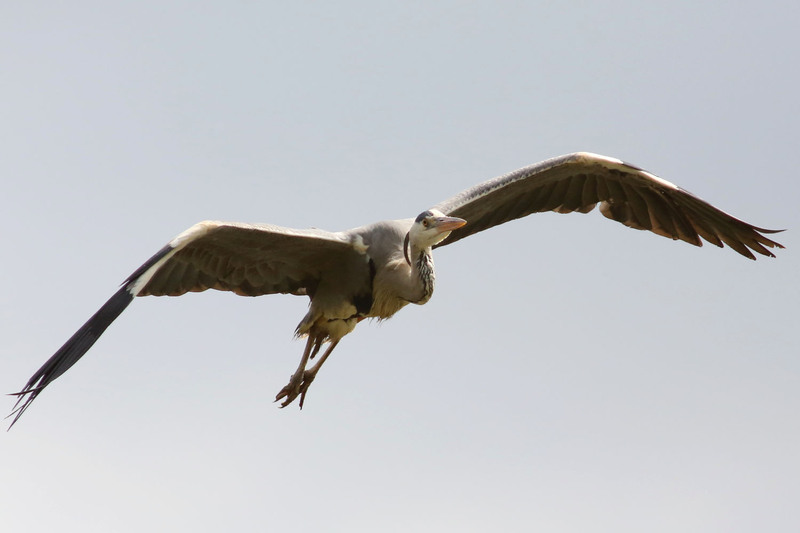 You're more likely to see one fly overhead and when they do they can look very large birds indeed. 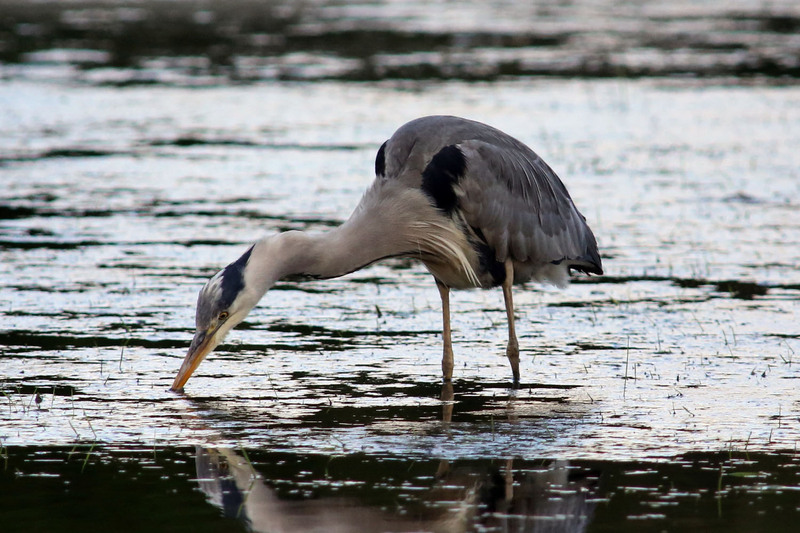 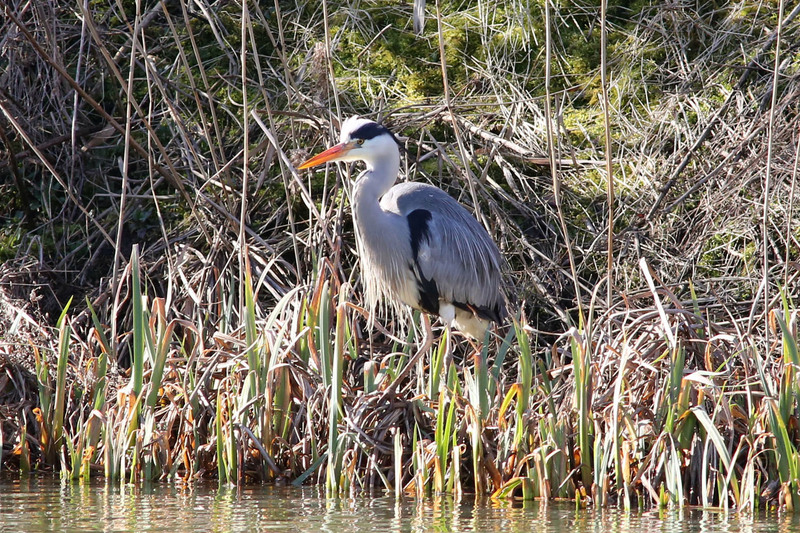 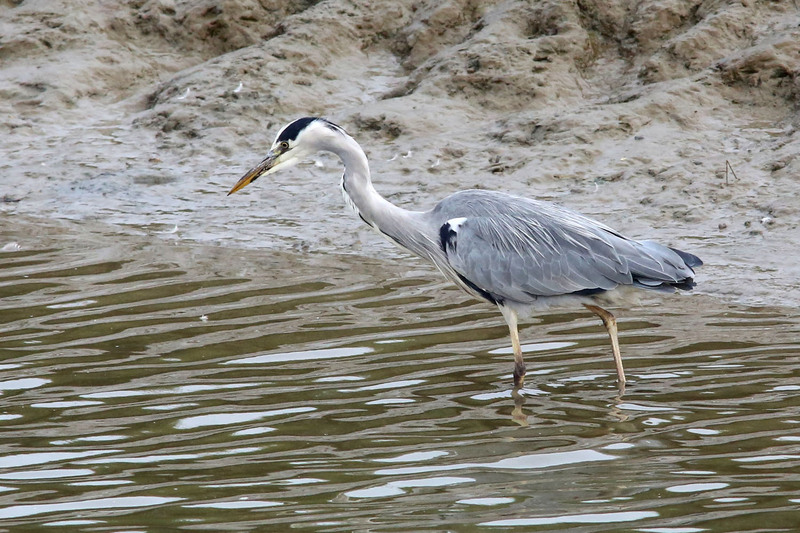 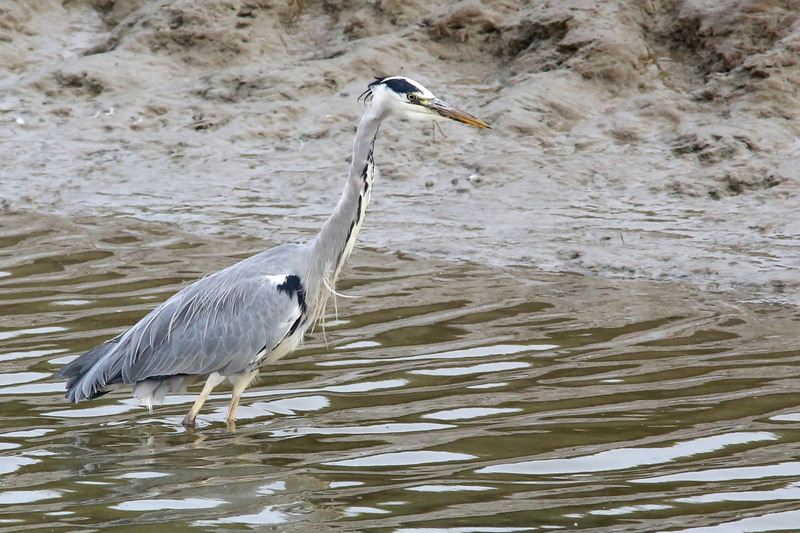 A Grey Heron looking for fish. 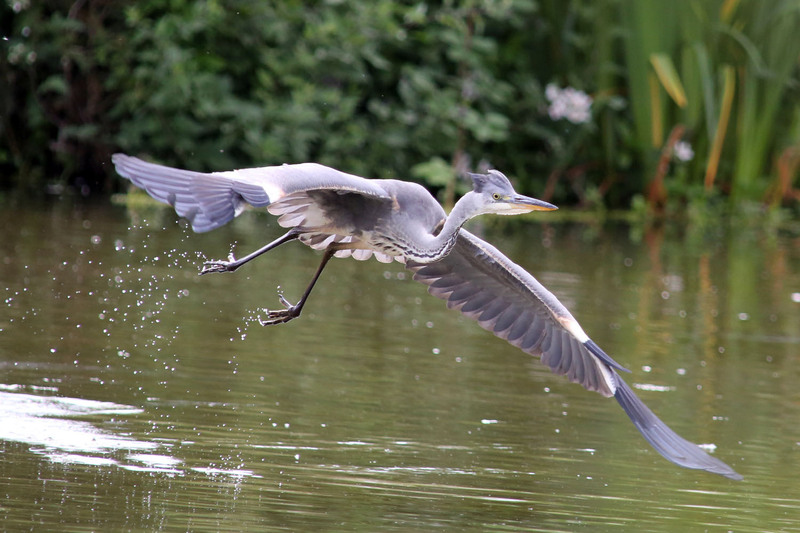 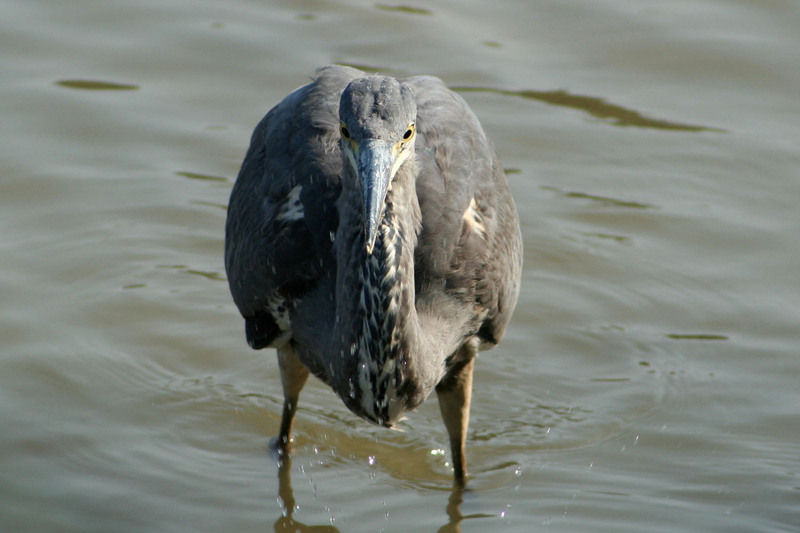 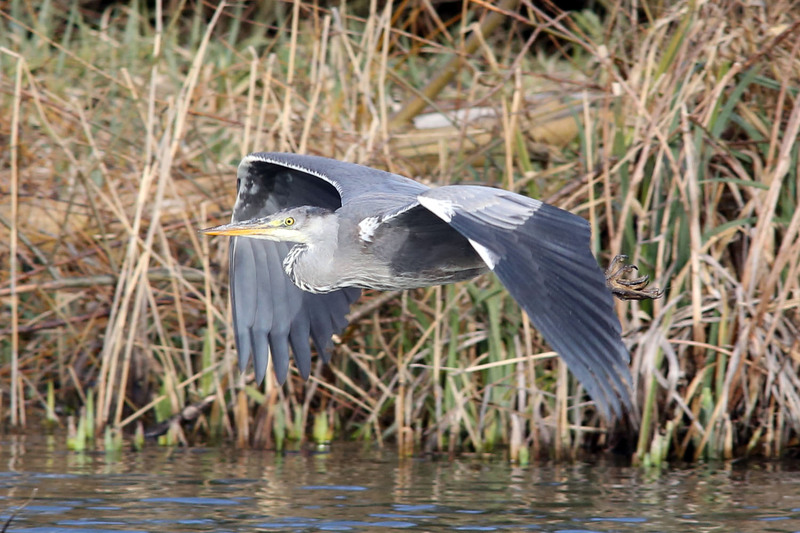 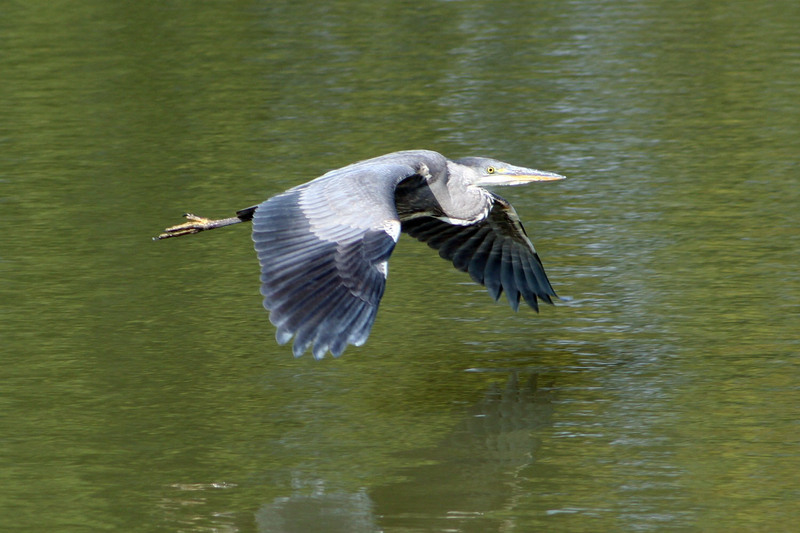 You can tell from the movement in the water that there are some large fish there - too large for the Heron.